From birth, babies are marvelous learners, immediately investigating the sights, sounds, and feel of the world. In our center, each child develops a sense of being a separate, independent self, which comes from being treated as an important individual. ​MPITC curriculum provides infants with a safe, rich world full of opportunities for active exploration and enjoyment through hearing, feeling, touching, and moving. 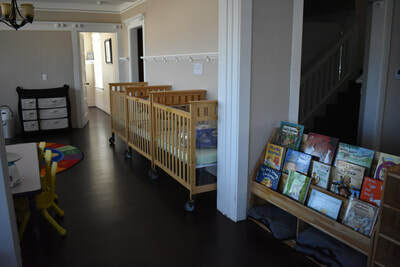 Their world at MPITC is filled with responsive interactions and language: many conversations with others, books (for even the youngest babies), songs, and lots of listening and responding to their vocalizations. ​Music, exposure to multiple languages and early literacy activities enrich our infants’ daily experiences. The baby buggy and time to explore their specially designed outdoor environment provide infants with a view of the real world via a fantastic array of sensory stimulation. Our program is designed for comprehensive individual development at the child’s natural pace. Caring and learning are inseparable. MPITC teachers provide “on demand” care in an environment that maximizes mobility. A baby who feels safe also feels free to grow, move, and explore the surroundings. This provides an optimal opportunity to engage emerging physical, sensory, perceptual, cognitive, and social skills. At MPITC, we love the independent attitude of twos and toddlers. That’s because it’s an assertion of autonomy that leads to personal victories and new development opportunities like increased body control and expression of feelings. Only when children feel a sense of personal power (“I can affect things”) are they ready to move to the next critical task of realizing a sense of competence (“I can achieve things”). This is an important step out into the wider world as active learners and problem-solvers. Through competence, children develop genuine confidence and a sense of who they are in the world. Like all learning opportunities at MPITC, classroom space for toddlers is carefully planned to promote exploration, independence, order, and freedom of choice and movement. 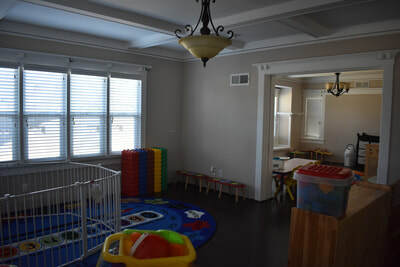 While it’s strategically organized with defined learning areas, it is open to allow plenty of room for social interaction and activities required for growth and development. As they enter The Early Learners Program, children become more and more curious. It’s that natural sense of curiosity that we use to teach your children to learn and grow. Our teachers plan small group interactions to work closely with your child to assure mastery of developmental tasks. Your child will also participate in large group activities to explore concepts and enjoy early literacy experiences. Early Learners main focus is on social and self-help skills. 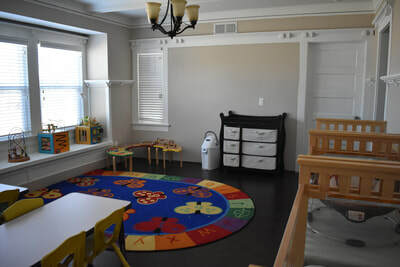 Pre-Kindergarten is an exciting step for children and parents alike. As a natural progression at MPITC, Teachers focus is to deepen the understanding of basic academic concepts through exploration, investigation and play. While we focus on the social side of math, science, language and social studies, we will make sure it is presented with a big dose of fun. We provide classrooms where children can challenge themselves and enjoy the thrill of discovery.